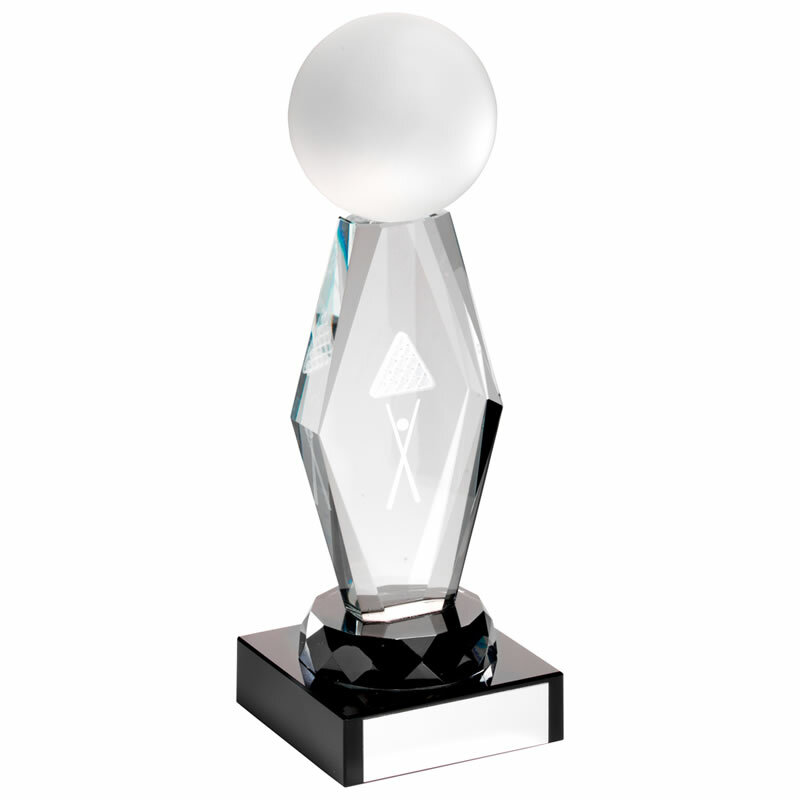 These modern pool or snooker awards trophies are made in clear and black glass and feature a full 3D ball on top of a facetted diamond shape stem inset with a 3D laser engraved motif of cues, balls and frame. The award is set on a black glass multifaceted collar and mounted on a black glass base with engraving plaque. Available in three sizes, they are offered here with engraving options.